I am doing e-commerce business from 4 years. In starting, I do not know its a,b and c but after sometime, I learned it and like offline business, it needs to care. It also need the investment for buying domain name, hosting service and products which we have to sell. So, you should know following things for operating a successful e-commerce business. I know, once, I forgot to keep the receipts of delivery in safe place. My customer has placed the purchase order through coming to my website. He had paid the money. I had delivered the goods but goods were not received by my customer at given limit of time. He was interested to know the status of his bought goods. I was not taking his call because I was not receipt in which I can check the track number. That day was my so bad because I was not providing good service to my customer. In that day, I have made two box. I started to keep all the receipts of delivery of current month in first box. Second box, I have used to keep the previous month's receipts. Now, by doing this, I have taken big help. Now, I give the track no. fastly. So, if you are also doing e-commerce business, you should always keep two box for keeping your receipts in safe place. Analyze the stock which you have sold most through your eCommerce website. Keep its some stock in your store. With this, you will not be delay for sending goods to your customer. You can also show you brand seal on your sold products. You can also promote your business when you will send goods on the time. If you have mentioned your mobile no. on your eCommerce website. You should keep it always on. Because rational people always say, there is no time of customer and death. Death is not in our hand but our customer can be satisfy if we keep our mobile on. You can make your time table. For example, your mobile may be on morning 10:00 to evening 6:00. Customer can ask so many queries and you have to answer all these queries. As per my knowledge, there are three type of hosting service which you can receive. a) Shared hosting : It is the hosting which you can understand with a simple example. You have a shop which have been hired by 10 persons. All are selling their product. Because shop is 10 foot by 10 foot, so it will be difficult for your customer. These are cheap, you have just paid Rs. 500 per month but your ecommerce site will open slowly. b) Very Important Hosting : It is small advance from shared hosting. For example, you want to do your business, you have taken first floor. It is ok, customer will god to ground floor but you can also get the customer. Other person can not hired your first floor. This is also called VPS. But its cost is high than shared hosting. For this, you have to pay Rs. 2500 per month. c) Dedicated Server Hosting : It is the whole shop which you have hired. Its ground floor is your control. Its first floor is under your control. So, ecommerce site will open fastly. For example ebay.com. For this, you have to pay Rs. 10,000 per month. You can start your ecommerce business from shared hosting and then you can shift it in dedicated server hosting. 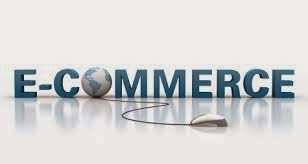 Whole ecommerce business is based online traffic. More you get the online traffic, more your sale will be done. For increasing your online traffic, you have to keep your ecommerce site upto date. Use advertising for increasing the pageviews of your ecommerce website.